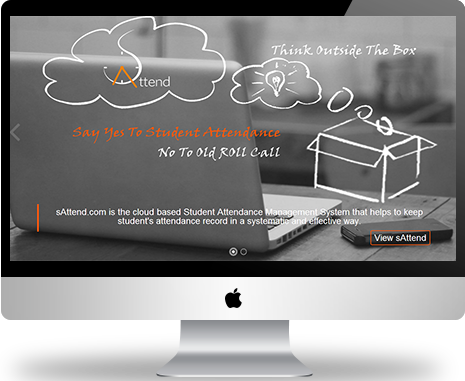 sAttend.com is the cloud based Student Attendance Management System that helps to keep student's attendance record in a systematic and effective way. sAttend.com is based on Saas(Software as a service) technology. Since, It works on subscription basis & you don't even need to have expensive software and hardware for installation & hosting.It is very easy and completely hassle free. sAttend.com is a cloud based student Attendance Management System that helps to keep student's attendance record in a systematic & effective way. The application is based on Saas(Software as a service) technology. Since, It works on subscription basis & you don't even need to have expensive software and hardware for installation & hosting. It is very easy and completely hassle free. Now, forget about calling roll number with sattend. As the system is completely web based anyone can use it from anywhere and any internet browser enabled devices. It facilitates the swift and easy recording of large no students attendance in your schools and colleges in a very short time. This system has ability to collect summary of all the reports and it helps in data analysis for full and partial absences. Now you will always have a clear picture of every student’s attendance throughout the year with our easy to use interface. Now you will always have a clear picture of every student’s attendance throughout the academic year anywhere and anytime with ease and hasslefree. It keeps the record of basic important data in a digital form. After the students register their finger print the system will keep the entire record. Finger print enrollment is a unique but student can get registered through photo ID/ swipe cards. This unique identification secures the original data. It allows teachers to manage student behavior and view the time table of each individual student. 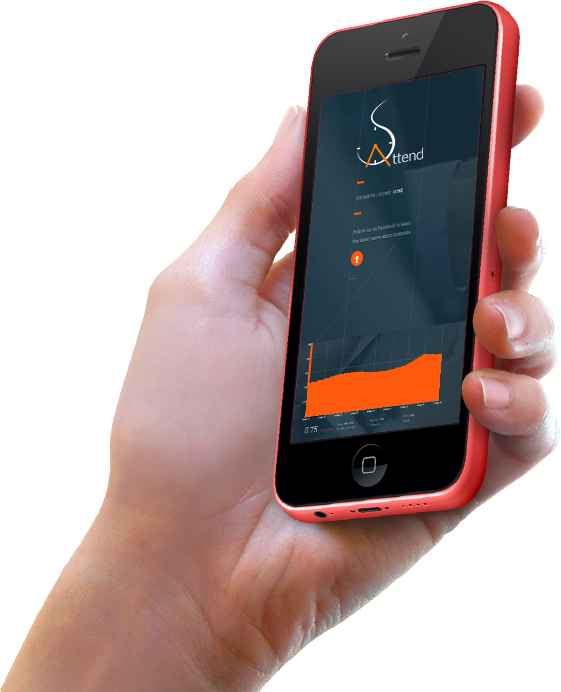 It makes easier for parents to check their children's attendance status and their performance at the class. "Creating a quality school environment"
You can record attendances in just the punch of a finger or with your face scanned or with your ID Card in the biometric enabled attendance machines. The software works in integration with such device that reads or scans your finger or facial pattern. The scanning system provides identification of a person based on the acquisition and recognition of those unique patterns and ridges in a fingerprint or facial pattern. This pattern is then compressed and digitized so that is can be registered as a template of a person's biometric authentication data. It also facilitates parents to check their children's attendance status. Using the system, parents can get better information about their children's academic records. Parents can view attendance update and progress report online from any part of the world. This makes the students more responsible toward their study and this in turn helps improve parent children relationship. And also it will increase parents' involvement in college activities. Improved attendance rate of students will ultimately increase their academic success rate. And the better result improves the reputation of the college. The school admin has total control over the system. There is the system Admin Dashboard that shows the last logged in time and date. Admin and admin granted viewers can also view all the reports, leave information, and check-in and check-out information with just a click. The activities of specific students can be searched from Search Activity having different options such as yesterday, last week, this week. Students can check their status info through their login page. Also they can ask for leave and get approved online. They can also get prior notice on school events.  "Yes To Student Attendance No To Roll Call"
We are always at the end of phone to provide any type of solution to our customer's telephonic inquiry. You can simply call to our support center if you require any assistance related to our software. We are always ready to help you on any product. With online web support system, simply fill up the form in our website and submit your problem or question. We have dedicated support team will promptly response you with required solution. You can also state your question via e-mail. Our site visit support facilitates customers to resolve the complex problems that cannot be addressed through telephone or email. In such a case our support representatives provide site visit facility. Replacing the paper based attendance system by the web based attendance system helps maintain accuracy in time management system (reduces paper work and inefficiency). Makes it easier for parents to check their children's attendance status for any single or range of date as it reduces the need to make a call to school/college. Absentees for more than certain days can be identified easily and then can be reported to the required authority as needed. Allows more oppurtunity to improve parental support in the area of student's attendance and flexibility to monitor their children and their acaedemic status. It increases parent's involvement in student's acaedemic activites which positively affect their achievement. Students acaedemic attendance report collection can be used a source of regulations and guidelines for school activities and rewards and punishments can also be implemented. Monitor students late arrival and early departures. Monitor student absence, explained and unexplained. Provides secure identification of student using Photo Id/swipe cards or biometric solutions. Electronic recording of class rolls. Summary Reports and data analysis on full and partial absences. Daily reports to status of student. Full password protection and backup capabilities. Ability to automate the distribution of reports via email. Helps To make students more responsible and more systematic. Developed and Designed by WebAndDesigning.com A HARATI Alliance.